which is approximately 5k SP. I guess this is my first time writing a post celebrating personal achievements in Steem, because nothing else is worth celebrating here. Shed a tear for gaining over 1000 followers? You must be new here. Dance over the reputation 60? Cycle 10 SBD through voting bots is another great alternative. Hitting 100 upvotes in a single post? C'mon, @smartsteem can get you 200 upvotes easily with minimum vote buying. However, status upgrade from minnow to a dolphin is something else. That means I now have more SP and more influence in the voting, more power in the network after all. Either I earned those SP back via writing posts or buying with real cash, that's still a solid achievement that actually impacts my status in the network. 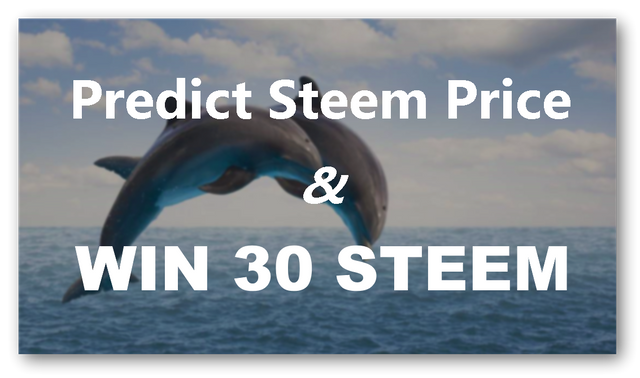 Predict Steem price and win 30 STEEM! This is probably my first and only celebration as I do not see the possibility of achieving the next Orca status(which requires 50k SP according to this definition). And since this is some celebrations on top of Steem, I think something more related to the very platform itself would be more suitable here. The rule is simple, predict the Close Price of Steem in term of USD on 4 Nov 2018(UTC time). Closest prediction wins the first prize, the second best prediction wins second prize and so on. The result would be based on Coinmarketcap's historical data. Vote on this post. Resteem is not required but would be very much appreciated if you do. Leave a price prediction under the comment section below with precision of 6 decimal digits. For example, $0.812230 or $3.235543 (LOL). as that would be the closest prediction. Let's get the prediction game started shall we? Your prediction has been noted. Thanks for taking part. Thanks gal, actually there is a lot of shortcuts for such achievement and we know it. Cash is the king here. Thanks for the kind words and here's the bigger vote for a little compensation. Haha, true! Thanks for your compensation! Darn... I missed this contest! Lol.. 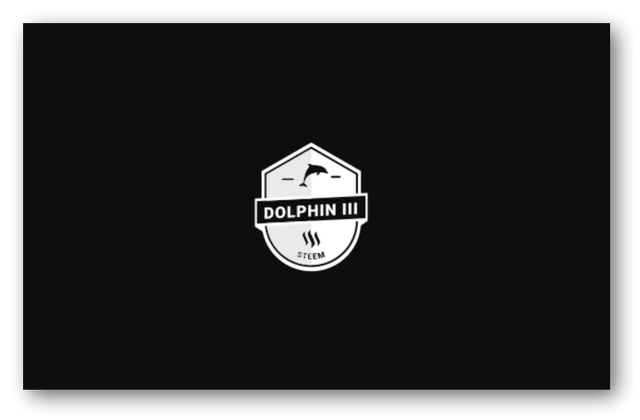 Anyway, congratulations on becoming a dolphin! Thanks buddy. Its alright, a slightly bigger vote for you as compensation haha. congratz and wish to see you head to the Orca!! Thanks @partiko! I'm a fan of your cool work, keep it up! I think from November it will start rising and therefore I want to keep it on a higher side. here in my prediction. Congrats on your Dolphin Status. I personally hope for some bull market within which the Steem Dollar value will temporarily multiply the steem value so that I can jump right into same dolphin Status. We'll see! Soon you will be there. Your prediction has been noted. Thanks for taking part. Great news on becoming a dolphin. Hey, congrats for achieving dolphin status! What is the last date to predict the price, don't you think that if you keep the prediction open till 3rd, it will be easier to predict for people on 3rd than today? I intend to keep it running for 3 days, but maybe I should shorten to 2 days. If you want to predict at the last moment, just bookmark this post up and do so? Ok. I will predict now. Wow! This post looks very interesting one. Good way of promotion friend. let me predict steem price so that i'll have a chance to win the contest. My Prediction for Steem coin is $0.82. Thanks but the entry should be at 6 decimal digits. Well, congratz to evolve into a Dolphin. Waiting for my turn... it takes so damn long. first of all congrats and the following thing was so damn true! The sad truths I've learnt on the platform so far.